Knowledge Base > Bidding FAQ’s > How do I “Watch” an item? On the items detail page, just under the Bid box, you will see an icon that says “Watch this Item”. 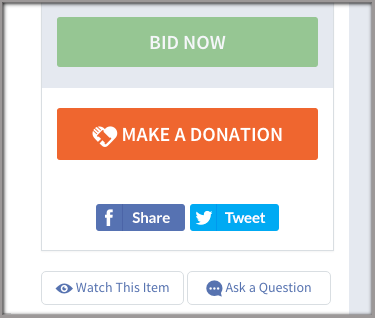 When you click this icon, the item will be saved on your “My Bid History” page inside your bidder account.